Oracle Fusion HCM has a lot of job opportunities, and it has a market share of 13%, and there is a lot of scopes to grow in this domain. We have compiled some Oracle Fusion HCM interview questions for you to crack your dream job. These Oracle Fusion HCM interview questions helps to freshers as well as Experienced people also. Q1. What is LDG in Oracle Fusion HCM? LDG in Oracle Fusion HCM means Legislative Data Group. There is an association between the statutory Payroll units and LDG. There is a requirement of at least one LDG for each nation where the organization operates. You can create these groups for partitioning payroll and related data. Later, process the payment with LDG code along with its legislation. You should handle the code with the country’s currency and costs which is essential to the flex field structure. Q2. What is Oracle Fusion Trees? The Oracle Fusion trees are also known as Oracle Fusion Timber. They represent the geographical representation of the organization’s hierarchy. Oracle Fusion Human Capital Management provides predefined tree structures for department, structures, organizations, and positions. You can create multiple trees and multiple versions with the help of Oracle Fusion HCM. Q3. What is Functional Setup manager? The Oracle Functional setup manager is commonly known as FSM. The FSM is an application which guides you all throughout the project life cycle on the functional implementation. Q4. What is absence pattern? The Absence pattern contains a set of predefined rules. All these predefined rules make an absence type. You should link the absence type with absence pattern. The selected design by the user will determine the particular fields which will appear on absence type pages. The Childbirth, injury/illness, and general absence are some popularly used absence patterns. Q5). What are the different plan types available in Fusion Absence Management? There are three plans available in FAM (Fusion absence management). Accrual, Qualification, No Entitlement. Accrual: You can generate this plan to create an absence for paid leaves. For example a vacation plan. No entitlement: You can maintain this program to track paid and unpaid leaves so that there is no accruals balance of leaves and payment. Q6. How many sections a performance template/model can hold? Q7. Explain what a watch list and work list is? A watchlist provides a set of shortcuts to track that requires your attention. A work list presents a task that works that needs your approval and notifications for you to view. Q8. What do you understand by Reference Data Sharing? In Oracle Fusion HCM reference data sharing means sharing of configuration data like jobs, grades, etc. across business units. You can share the configuration data in buckets across business units. This data helps to reduce duplication of data. Q9. How is ESC useful? The ESC is a tool that is interview-based which guides through the configuration of enterprise structures. You can use this tool to define organization set-up, organization structure, job, and position structures of the enterprises. Q11. How can you track the record if you update an assignment record multiple times a day? You can create more than one physical record for some objects like assignments and update more than one time. You have to give a valid sequence number in each physical file to show the order in which you make an update. Q12. What is the distribution threshold in the Oracle Fusion HCM? After normalization, the distribution threshold will see that workforce should be there for the accomplishment of tasks. Q13. What is normalization in Oracle Fusion? When users create rating models, they have to define the rating distribution at the same time. The rating distribution gives an idea about the overall percentage of the workforce that is involved. The rating distribution provides Information about the increase and reduction of human resources at various levels. This procedure is known as normalization. Q14. Name a few sets enabled objects in the Oracle Fusion HCM? 1. Why is Human capital management important? The organizations consider Human capital as an asset. 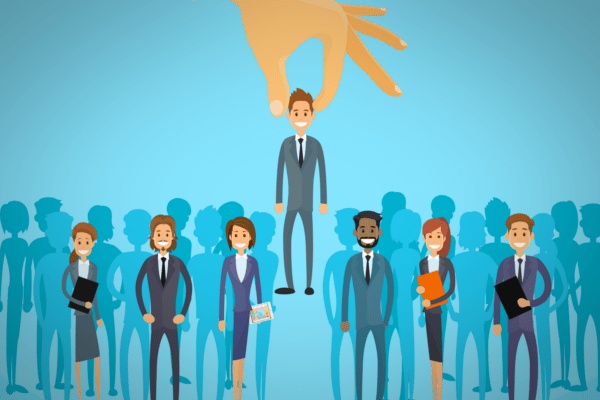 When an organization hires an employee, it regards him as an asset as he brings his skills and knowledge to the organization for mutual growth. Organizations invest in the right kind of Human capital to add value to the organization. You can increase the Human capital through education and training. Empowered Human Capital increases the productivity of the organization. 2. What are the factors that you should consider for specifying the key responsibility areas for an employee? When you hire an employee to perform particular job responsibilities, the organization has to consider educational qualifications, skills to perform the specific job, experience, areas of interest, etc. If you hire the right candidate for the right position, it promotes a positive work environment. 3. What are the core pillars of HCM? 4. What is the best way to motivate employees? 5. Why are skilled employees are essential for organizations? Employee skills enhance the organization’s productivity. Employees contribute to the growth in their way. They bring their experience, skills, and qualifications to enhance the growth of the organization, thereby increasing the growth of the organization. 7. Under workforce deployment category, name the sub-processes under the workforce Deployment in the Oracle Fusion HCM family. Hai this is Karthik. Excellent post. It help to prepare for interviews. Thank you for sharing. Really nice questions and answers about Fusion HCM. It can help in an interview a lot. Thanks for sharing. These are very important questions in fusion HCM. Thanks for sharing it. Really important questions you mention in your blog. keep sharing posts. Thank you so much for sharing these questions from past few days I was searching for HCM interview questions and the questions you mentioned in your blog is really important. I bookmarked it already. Thanks a lot, A good amount of information. Thanks for sharing a HCM Interview questions. It actually helps me in my interview. These are the most commonly asked interview questions and you must have to know the answers. So finding all important questions at one place is very very good. That’s why once again thanks. Thanks for sharing the important questions on Fusion HCM. It¡¦s truly a great and useful piece of information. I am satisfied that you just shared this useful information with us. Please stay us informed like this. Thank you for sharing. Thank you so much for this wonderful information. This article helped to a lot get through my Oracle Fusion HCM interview. Looking for more updates. Hey there! I’ve been following your website for a while now and finally got the bravery to go ahead and give you a shout out from Houston Texas! Just wanted to mention keep up the good job!